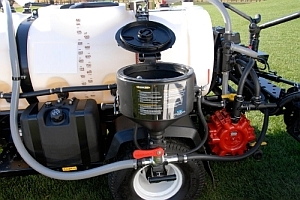 Applicators frequently ignore cleaning agents in the belief that a thoroughly washed sprayer will be free from harmful residues and other contaminants. In most cases however, simple flushing with standard tank cleaners do not suffice. GeoCHEM, Inc. specializes in spray tank clean out technology to partner the latest in tank hygiene. Rapid advances in crop protection formulations requires equally significant advancements in tank cleaning agents. For more information click here.